Offering you a complete choice of products which include polyester laminating pouches and portable pouch laminator. 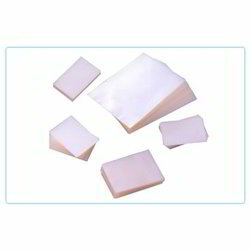 Our company is engaged in distributing, wholesaling, trading and supplying high quality range of Polyester Laminating Pouches which is provided in variety of sizes to fulfill all your laminating needs, the offered pouches are broadly valued among customers for its quality & light weight. Our pouches are precisely designed at our production unit employing high end technology. Moreover, we supply these pouches from our end after checking it properly so as to deliver a flawless range. To meet the diverse requirements of clients, we are offering a qualitative array of Portable Pouch Laminators. Use for laminating I.D. Cards, PAN cards, the offered pouch laminator is well designed using high grade components. Our vendor makes certain the quality of pouch laminator by tested it against predefined quality parameters. 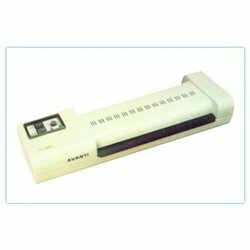 Along with that, our honored patrons can avail this pouch laminator, as per their needs, at affordable price. Looking for Pouch Laminators ?